So lately I’ve seen a lot of articles, announcements, and tweets that have been hard on WordPress and its perceived weaknesses. Rather than replying in a defensive way through comments, replies, or email, I thought I would take the opportunity to express exactly why I, personally, love WordPress. While I sincerely do understand that there are projects where another CMS or even no CMS is a better alternative, I have chosen over the past few years to make my living primarily through WordPress-centric projects. I started my career as a developer in 2007 with a small, non-profit organization. Part of my new position was to update and manage the organization’s website. I had always been a computer guy, spending my time playing computer games, poking around the Windows files, and building ever faster towers. Having never taken a class or possessing any knowledge in HTML or web development, I began to use Dreamweaver’s drag and drop builder to piece together table-based websites. This led to peaking behind the curtain and editing the tables in the HTML editor and eventually even building some Flash based sites (without ActionScript programming, of course). Our company took college students on international trips each Summer and allowed for team leaders to write updates and submit pictures through an archaic PHP system that eventually catastrophically failed. In a scramble to replace it, I ran into WordPress. I quickly started a WordPress blog on our servers, installed a free theme, and our staff and our students’ parents loved it! By the end of my tenure there, I was beginning to edit themes that we bought and even create a few of my own. I moved to Virginia in an effort to continue my college education (studying religion, not computer science). I continued to build WordPress sites in my free time, even taking on several freelance jobs to help pay for living expenses. My knowledge of HTML, CSS, JS, and PHP grew exponentially with each project. After graduating from college, I was immediately offered a job (which my new bride really appreciated) at a large nonprofit as their WordPress developer. They had about two dozen WordPress based sites. Most of these sported free blog-style themes, with a few custom child themes. I immediately set out to improve the sites in place in both design and development. In a relatively short amount of time, I was (and am) managing over 200 WordPress sites across 5 or so multisite installations. I now develop fully custom WordPress themes, plugins, and even a native iPhone application backend. WordPress, being written in PHP, is a fairly easy development structure to grasp and written in a language with a fairly low learning curve as far as web languages go. While it has taken years to reach the point at which I find myself today, I learned the basics fairly quickly. However, I am not sure I will ever truly know everything there is to know about WordPress, theming, plugin writing, or PHP. There is always another function, element, convention, and way to do things. WordPress delivers all of this along with my next reason. The WordPress community is perhaps one of the best reasons to be a part of WordPress. The community is active, growing, brilliant, and generally, accepting. I have slowly started becoming more and more involved in the community. It took me a long time to truly understand this value and even longer to begin to interact. I have yet to attend a WordCamp or submit to the core, but those are on my list of things to do over the next year or two. With all the blogs, sites, SAAS, conversations and the WordPress.org Forums, there are so many places to read, write, discuss, argue, engage, and iterate that it can be overwhelming if you aren’t in it everyday. I think is why it took me so long to get involved is that I simply didn’t know where to start. But people like John Saddington, Tom McFarlin, and many others, without even realizing it, helped to encourage me to get involved through their many blog posts, tweets, replies, and comical cat postings. They are rock stars in their own right, but they are simply developers, people, and in John Saddington’s case, fellow Georgians (even though I live in Virginia, Georgia, you will always be on my mind!). This community allows you to be you, to be involved, or simply lurk on the outside until you are ready to dip a toe (or dive right in). WordPress as a CMS has been used in some very interesting ways. From blogs, to website, to app engines, WordPress has been used to creatively run, manage, and create beautiful products, services, and tools. With a whopping percentage of the overall website market being run by WordPress, it’s a good bet that some of your favorite sites and applications run on it. That is a huge asset to me. Pick a business and you can probably use WordPress to engage your customers. Whether it is selling premium themes, plugins, running membership sites, blogging, or even educational tools, WordPress is a great platform to launch nearly any online business. This means that being a WordPress developer, enthusiast, or blogger can open up nearly endless possibilities in the business world. Am I crazy? A WordPress fanboy? Is there another CMS that deserves my attention? 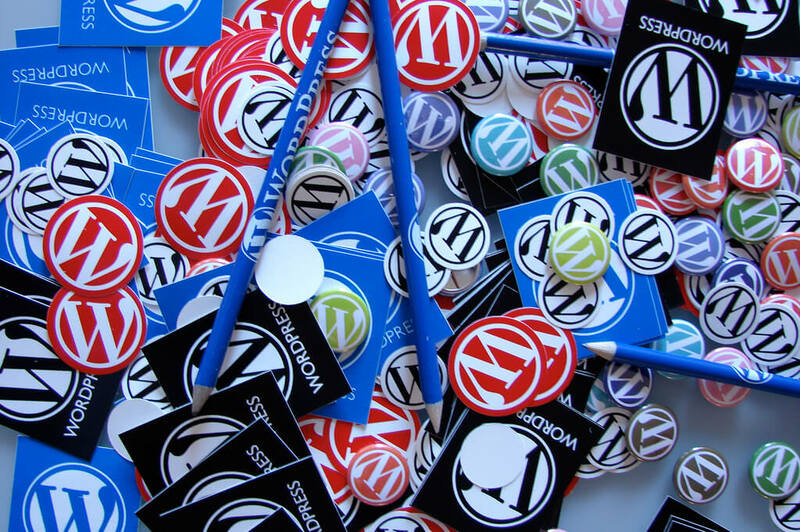 Or do you agree that WordPress is truly a great product, community and platform? I would LOVE to hear your thoughts!